Martial artist Ray Scholl shares how he found martial arts after serving as a marine. In this part of our conversation, you'll learn more about martial arts, Ray's fitness journey, and why he has become so taken with martial arts that he's become the school head of the Burbank Danzan Dojo. Ray currently holds the rank of Sandan (3rd degree) in Danzan Ryu Judo & Jujitsu certified by the American Judo and Jujitsu Federation, and has additional instruction in Kali, Silat and BJJ. He is also a Mod 2 graduate of the Danzan Ryu Seifukujitsu institute and a certified massage practitioner in the state of California. 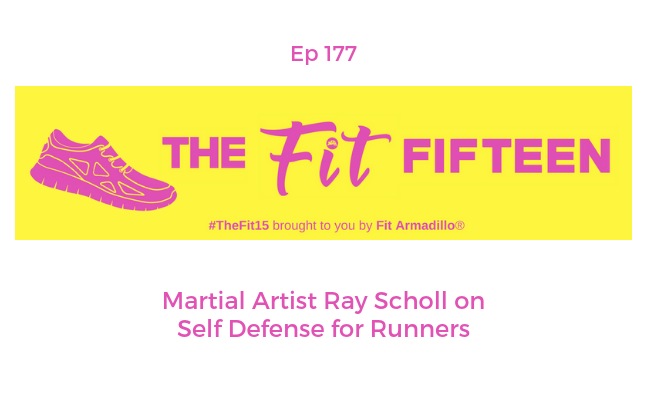 Ray has recently combined his background as a marine with his passion for martial arts to offer self defense classes for runners, which we'll discuss in more detail tomorrow. Ray's next class will be offered Sunday, April 28th 2019 in Burbank, CA. Ray lives in Burbank, CA and is the school head of Burbank Danzan Dojo. He currently holds the rank of Sandan (3rd degree) in Danzan Ryu Judo & Jujitsu certified by the American Judo and Jujitsu Federation, and has additional instruction in Kali, Silat and BJJ. He is also a Mod 2 graduate of the Danzan Ryu Seifukujitsu institute and a certified massage practitioner in the state of California. Ray is a former Marine, flew combat missions in Iraq, and was an F/A-18D flight instructor. When not training and teaching martial arts Ray is a Training and Development Manager for an Aerospace and Electronics company in Burbank. He has a BA is Psychology, and a masters degree in Organizational Leadership.